WE COMPLETE OUR FLOOR REMODELING IN 4-5 DAYS! 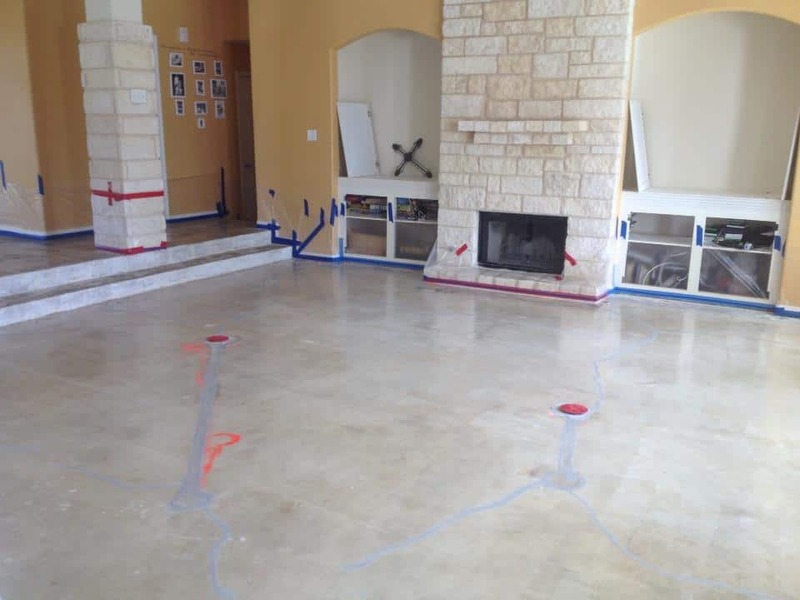 Remove flooring surface, mask home, and thoroughly clean floor which may include grinding. Check floor for pits and voids and repair with a self level. Run moisture test on slab. 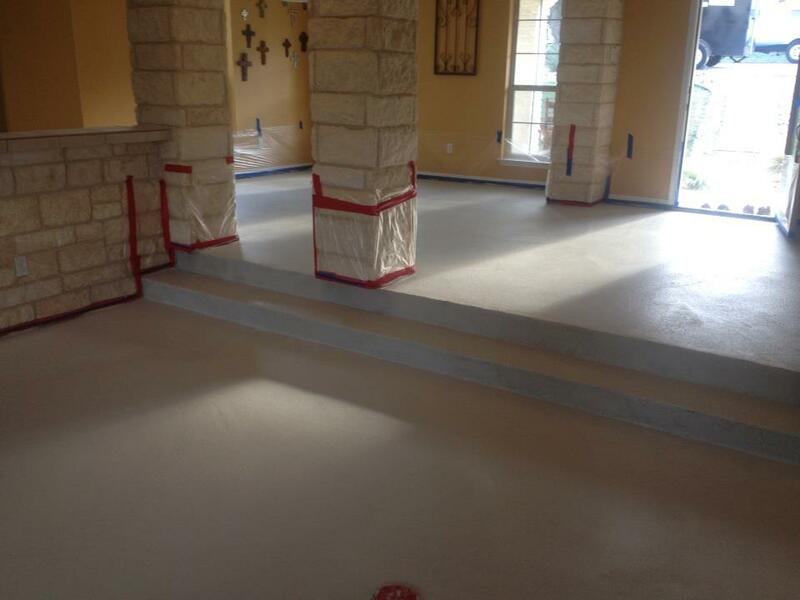 Prime floor to prevent ghosting or help prevent excessive moisture from popping cementous coating. Run moisture test on slab again after applying prime coatings. Rough coat of cementous overlay applied to prime coating. Sand entire coating after 24 hours or after coating is thoroughly dried. 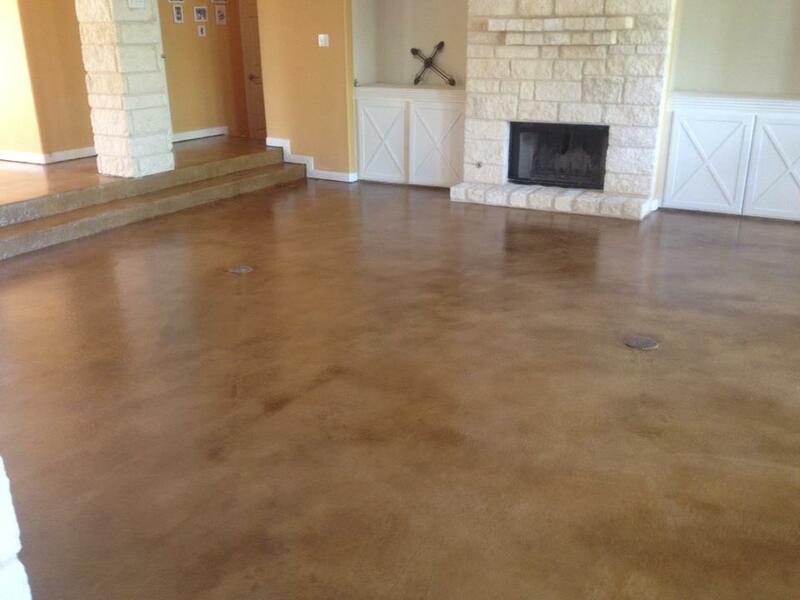 Apply smooth cementous overlay, which is commonly referred to as the finish coat. 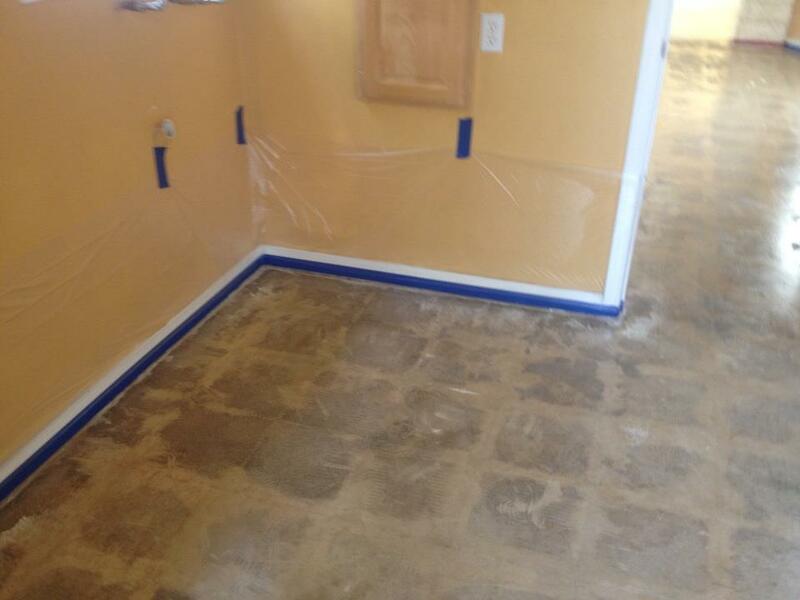 Apply acid stain or acetone based dye stain to flooring. Remove all masking and tape. Neutralize entire floor to receive sealer. Apply customers sealer based off recommendation and desired gloss. *There are several options for color choices and the technique in which its applied. In addition to staining, we offer several options for designs, and types of sealers than can be used to achieve desired gloss.